Hidden security cameras, also known as spy cameras, have become increasingly popular over recent years. This is mainly due to the fact that they are now more affordable and accessible to the general public. But what exactly is a hidden security camera and why might you need one? What is a hidden security surveillance camera? A hidden security surveillance camera, or spy camera, is a device that can capture either still images, video, or a combination of both for security purposes. As the name suggests, the camera is hidden and is not visible to the naked eye. In many cases, the camera is disguised as another object within the home, and in many cases, it can appear as a burglar alarm, or as a smoke detector. When combined with CCTV, you can obtain many hours of video footage from within your home, the outside of your property, or your work premises. Hidden cameras can serve many purposes, including secret filming and covert security. In terms of secret filming, you may have suspicions about the person who is caring for an elderly relative. The hidden camera will capture every second of every day, so that you can clearly see what happens within the room where the camera is placed. 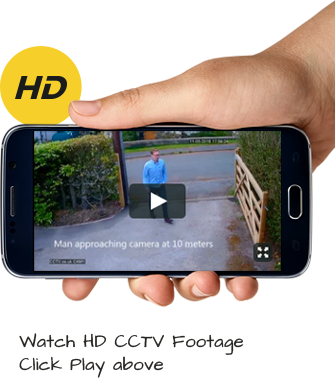 Hidden cameras can be used for covert security purposes, as they can help to identify burglars or those who wish to trespass on your property. The real beauty of the hidden surveillance camera is that today they come in all shapes and sizes and with many useful features. 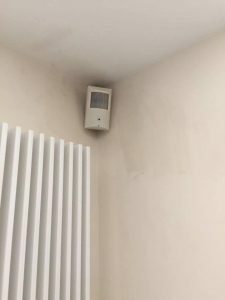 If you wish to place a hidden camera on the outside of your property for surveillance purposes in order to protect your property, then this camera can be used as part of an alarm PIR (Passive Infra Red) box. This will need to be installed by a professional, but what it will do is capture on screen all action that takes place outside of your property. This is ideal when you want a security system for long-term use that works in sync with your house alarm. Hidden cameras are also now incredibly small and can be installed into many household items for easy covert surveillance. Items such as a smoke alarm, clock radio, motion detectors and televisions can all be used to house your hidden security camera. What is vital is that you have your hidden security camera and related equipment installed correctly by a professional. We’re able to provide a secure and fully wired installation service that is great value and will keep you covered and up to date at all times. Our service is highly professional and delivered by friendly and efficient members of our installation team. For further information about our hidden camera installation service, please get in touch with us today on 0800 211 8310.